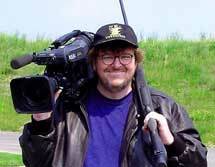 Moore's "Fahrenheit 911" won the Cannes Film Festival's top prize  the first documentary to do so in nearly 50 years. 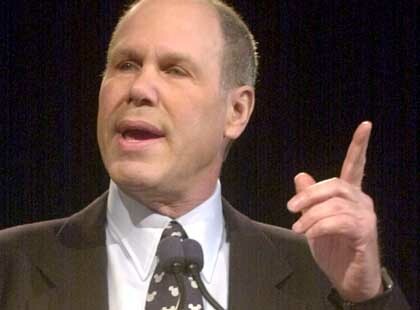 don't understand why, but when Disney CEO Michael Eisner publicly announced that he had no intention of distributing Michael Moore's new documentary, "Fahrenheit 911," I was surprised and perplexed. Eisner stated that Disney had made its decision because it did not want to "take sides" in "a political process." To me, it seems that by blocking the film's distribution, Disney has already taken sides. Why would Disney, which owns Miramax, which provided funding for the film, refuse to distribute what amounts to be their own movie  especially one that cost $6 million to make and was created by the most successful documentary maker of all time? According to Moore, Eisner is afraid that Florida's Disney World might lose some of its generous tax breaks if it appears that Disney is backing a documentary that is critical of the Bush family. Florida Gov. Jeb Bush has denied knowledge of any tax breaks that Disney may receive in his state. If what Moore says is true, it would seem that Disney is playing both sides of the table, since Miramax now stands to benefit from the sale of its distribution rights. On the other side, their refusal to distribute the film is a pledge of allegiance to the Bush family, and may help minimize their risk of losing alleged Florida tax breaks. Eisner and Disney: playing both sides of the table. It's funny how things like that still have the ability to shock me. I guess that I'm old-fashioned, because I thought that America was a free country. I thought that in America, the First Amendment protected our citizens' right to free speech. Apparently, I was wrong. If they could, I'm sure that Disney would refuse to distribute the First Amendment, too, citing that they would like to append a "mostly" clause that allows censorship of all political discussion. The truth is that it's not the First Amendment that protects our free speech. The corporations protect America's freedom of speech. As long as you exercise your freedom by being a loyal and "patriotic" consumer, you have nothing to worry about. Just don't try to say anything bad about the presidency, or you'll find that you no longer have a voice. In a free country, an organization like moveon.org, which tried to air an ad during the last Super Bowl, would be able to do so  even if the message was critical of President Bush. Again, this is not the case, because CBS refused to air the ad after the Republican National Committee warned the network that it believed that funding for the ad was "illegal." While lawyers on both sides disagree about the legality of the ads, CBS cited a policy of impartiality and avoidance of controversy as the reason for its refusal. Again, this surprises me, since the very fact that they refused to air the ad in the first place was the subject of a good deal of controversy. It's amazing how large entities like CBS and Disney can claim impartiality on political issues while hiding behind a veil of censorship that drives their political motives. Impartiality: too late for the TV networks to pretend? What these companies may not realize is that politics is as much about what you say as it is about what you leave out. Censorship is not simply benign omission  it's active erasure. While CBS and Disney try to blame impartiality for their acts, the message sent by this kind of censorship is clearly political. It's too late for the networks and corporations to try to pretend that they're impartial. 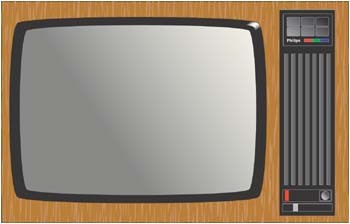 Anyone who still believes that they are has probably been watching too much TV. E-mail Ryan at ryonie@hotmail.com, and see more of his work in our archives.